It’s not everyday drivers have the chance to get behind the wheel of a ground-breaking vehicle. Luckily for shoppers near Benton, the 2018 Jaguar F-PACE is just that, and gives motorists the performance they are looking for in a luxury SUV. Offering three gas engines and one diesel engine, shoppers will be able to customize their ride to make sure they are receiving the power they want and deserve. These powerful engines, along with an impeccable chassis and suspension system, give adrenaline junkies the vigor and control they’ve been longing for. Yes, the 2018 F-PACE has incredible strength, but it is a true beauty as well. Sculpted with powerful angles and unique lines, this vehicle looks like exactly what a sports luxury SUV should look like. 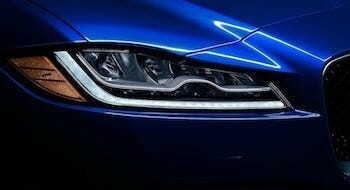 Shoppers can opt for LED headlights and Jaguar J-Blade LED daytime running lights, giving this ride an incredibly strong first impression. When passengers take a seat inside, they’ll be as comfortable as can be. From the Brogue Perforated Taurus leather seats to the interior mood lighting, nobody will want to leave when the destination is reached. The F-PACE is as smart as it looks. Full of innovative technologies, drivers have the ability to stay in-the-know wherever they go. Driving is also enhanced, as the state-of-the-art multimedia system and Jaguar InControl® features helps motorists stay safe while using audio, navigation, and much more. Passengers will also be able to enjoy their time in the back as the Wi-Fi Hotspot and 10GB of onboard dedicated media storage can keep them entertained for hours on end. Driving smart is always important, and so is shopping smart, which is why our dealer serving Conway offers Jaguar specials! 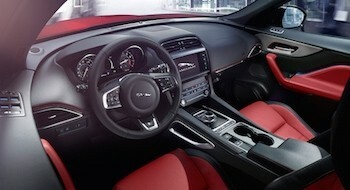 Jaguar Little Rock is always keeping the customers safety at the forefront of our concerns. We want our shoppers to get behind the wheel of a reliable and efficient vehicle that can not only perform, but also be prepared for the unforeseen events. Luckily, the 2018 Jaguar F-PACE is built with advanced safety technologies, keeping all occupants safe. The available Blind Spot Monitor ensures drivers are aware at all times, keeping them and the road a whole lot safer. Getting from Point a to Point B shouldn’t be stressful, and with these innovative technologies, drivers will never have to worry again. 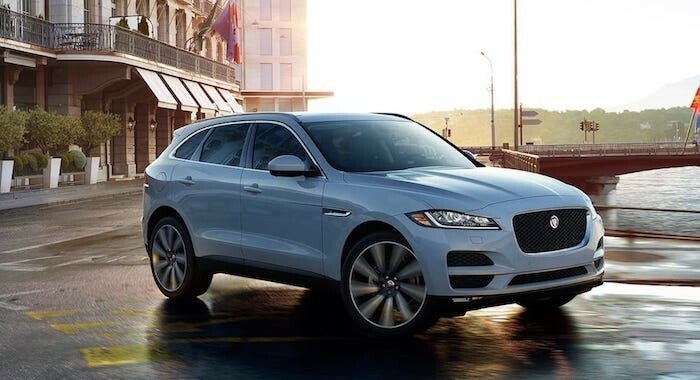 For more information about the 2018 Jaguar F-PACE, contact Jaguar Little Rock at (833) 664-6125 to schedule a test drive.